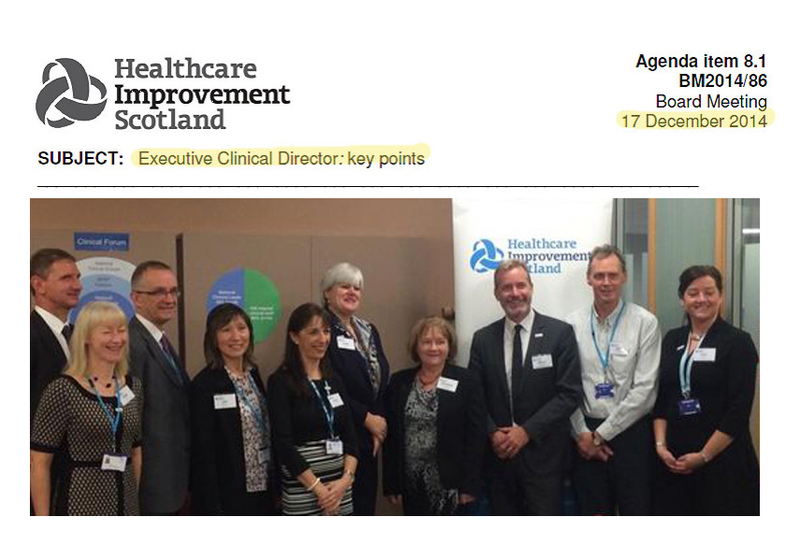 NHS Healthcare Improvement Scotland has, over the last few years, introduced mandatory “cognitive screening” for our elderly (generally considered those aged 65 and over). Such “cognitive screening” which I consider as a well-intentioned mandate, is nevertheless an example of a “blanket policy”. I have found raising the subject of consent for cognitive screening a “difficult conversation” to have in NHS Scotland. As an NHS Consultant I use rating scales every day. As such I have come to appreciate what they can and cannot reveal about a patient. Using brief scales for “screening”, rather than as part of an overall assessment, I consider a different matter. For screening, ten WHO criteria are required to be met. The UK National Screening Committee and all extant UK guidelines have concluded that these criteria have not been met for cognitive screening. Notwithstanding, Scotland has chosen to follow “improvement methodology” to guide its approach. Here Scotland is a pioneer. This week’s Lancet editorial gives a timely reminder of a broader, rather than narrower, appreciation of cognition. It has been argued that cognitive screening in Scotland, using “cognitive screening tools”, is not screening at all but rather “identification”, or indeed “detection”. I argue that a better approach is for NHS staff to assess patients using their professional skills (trained over many years) and to be given time to do so. This means following time-honoured clinical assessments rather than taking shorthands. I should reaffirm that a rating scale may be part of this overall assessment. I just argue that it should NOT be the starting point. In Summary: I am of the view that mandatory cognitive screening introduced by NHS Scotland – as part of “improvement science” – does not meet the requirements of “the progressive test” as set out by the Scottish Human Rights Commission.